Designers are hardly seen spared by their work because when they get too much on their shoulders they find less time for themselves therefore you will never see a designer free, doing hank-panky or beating about the bush. They will always be concerned about their own job and to deliver aptly to the expectations of the supervisor. They already are occupied to do so much in one go, their life defines them as workaholics who are all the time following the dictum of “get, set, go”. I wonder how do they cope up with the issues happening in their workplaces, what does it take to be that open to ideas, prepared for hard work and all set to deliver using ingenuity and uniqueness. Well that requires a lot of professionalism on part of the designers. Artist is the second name of a graphic designer because he has the sense of aesthetics, he works with colors, he composes novelty and he plays with tools. Today my post is highlighting social media icons that I have been designing and previously posted on the blog and being a designer myself I second to every thought that defines the proficiency of designers. 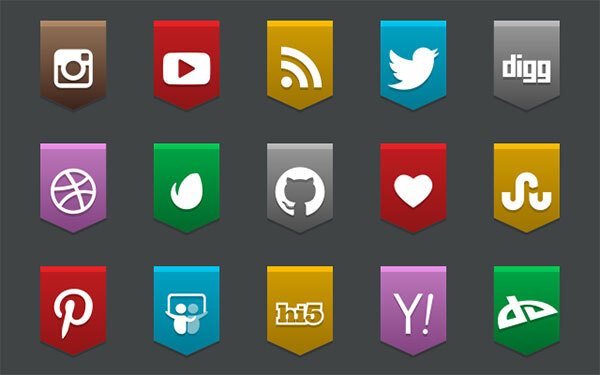 Here I have 10 best free social media icons set by Designbolts. This set includes simple, trendy, modern, colorful and transparent icons that you will love to use. One of the finest collection of our blog is packed up here so you don’t have to look out and check on other posts when down here you can get them all to choose from for you own website/blog. Social media icons have now gained much significance because having them pasted on the blog can earn you a great deal of viewership. Just by getting connected to the blog via social media icons, will help you to keep an open eye on the latest posts of the blog. Put them either on the top, on the bottom or in the sidebar to make them eye-catchy so people would watch them and click on them for the updates. Subscribe us for more free stuff Get the glimpses!